This beautifully crafted flag and medal display case sold by FlagsConnections.com is an essential item for military or paramilitary personnel’s and their families. The case is primarily used for displaying flags and medals and can either be kept on a pedestal or wall-mounted using a special bracket. You can also simply hang-up the medal and flag display case on the wall. This medal and flag holder is ideal for gifting purposes, especially if someone you love has just joined the services or is about to retire. The flag and medal shadowbox is made entirely in the USA by veterans of this craft. Suggestions by veterans have been taken into consideration while designing the case. The military medal and flag shadowbox is made from three types of woods which includes walnut, cherry and oak and is available in the natural shades of these woods. The upper triangular portion of this flag and medal display case can house government issued 3X5 flag (the ceremonial flag) or the 5x9.5 flag (burial flag). As both these flags are of different dimensions when folded, the display cases too come in different sizes. The flags however need to be folded properly according to precise instructions provided by the military. You can also learn to fold the flag properly by clicking here. The lower portion of the military medal and flag shadowbox is used for displaying the medals awarded to the veteran. The velvet background in the medal display portion comes in four colors viz – red, blue, green and black. The glass on the medal display case comes with the national emblem of Eagle. If you wish, we can place a plain glass on this portion sans the eagle emblem. You can further customize this medal and flag holder by ordering a brass plate with black engravings. There is an option to place 1 to 4 lines on this brass plate. The brass plate can be used for writing details of the veteran or remembrance messages. You however will have to provide us with the details while placing the order as it is engraved on the brass metal plate. The flag and medal display case is not only ideal for individual purchases but also is most suited for bulk purchases by organization. Orders for more than 5 flag and medal display cases will be given attractive discounts. We ship orders to US and Canada within a day. Orders for the Flag / Metal Display Caseare usually shipped out within one business day to places within the USA and Canada. My father recently passed away, and after going through his things, I discovered the American Flag that he was awarded, along with a several awards of service medals. Because my Dad was a WWII vet, he rarely talked about his service to our country, so you can imagine how proud I was to find the flag and medals. Of course, I wanted to display these momento’s in my home, but had no idea how until I found Flags Connectons. I was amazed at the selection of flag and medal display cases available and wasn’t sure which one to choose. I finally decided on the Presidential. The case has a Great Seal of the United States embossed on the elegant beveled glass, and is the perfect place to display my late Father’s war medals, and of course his American Flag. 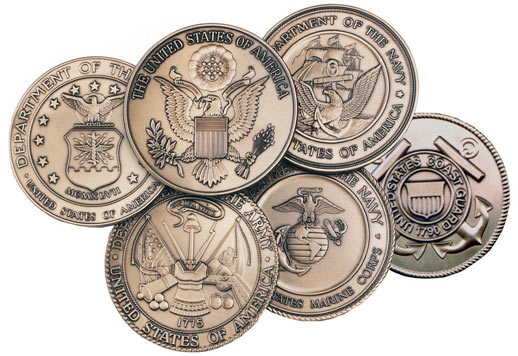 The Presidential flag and medal display case allow you to select a service specific brass medallion, or an etched specialty colored medallion. It did cost a bit extra, but it was worth it. I chose the brass medallion for the Army. One of the things I really like about the flag and display case is that is has a glass front. Some of the cases that I looked at had acrylic fronts, and looked really cheap. Dad’s medals were really easy to mount as the back opens with a turn-button closure. The Presidential flag and display case is the perfect way to honor my dad and his service to our great country, and I am so thankful to Flags Connections for offering this beautiful wood case which takes pride and place above my mantel piece. If you have a family member or friend that was, or still is, in the service, do yourself a favor and browse through the flag and medal cases from Flags Connections.